In certain countries, evangelization demands a more than ordinary devotion – a real missionary audacity. Tibet is an outstanding example. The story begins in the sixteenth century, when the Portuguese, by virtue of the ‘padroado’ (patronage) given by the Crown, exercised not only commercial and political rights of conquest in India, but also the missionary mandate. So as to better control maritime trade between India and Portugal they set up their trading stations and military bases along the coast, but missionaries often penetrated deep into the interior. Among the pioneering Jesuits in India, Fr Antonio de Andrade (1580 – 1634) was specially notable. A Portuguese, he was sent to the Jesuit base at Agra, the capital of the Mogul Empire. Then he went to Srinagar in Kashmir, in the north of India, and bordering western Tibet. In 1622 Fr Andrade and a companion got to the capital of Tibet, Chaparagua, where the king made them welcome, and allowed them to build a house and a church. But in 1652 a change in government led to persecution of the Christians; all the priests died in prison except one, who got back to Agra. 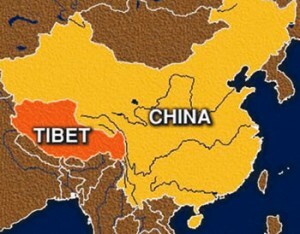 The Jesuits tried again to re-enter Tibet, but unsuccessfully. 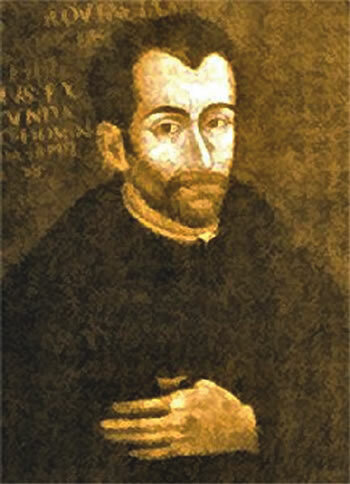 In 1700, at the urgent request of Christians who had survived from the first evangelisation, a new Jesuit attempt was made, but illnesses and other difficulties ended them. In 1703, in Rome, the Congregation ‘Propaganda Fide’, which had been founded also in 1622, entrusted the evangelisation of eastern Tibet to Italian Capuchins. But deaths of several men on the way in, and difficulty in learning the language led to the mission’s abandonment in 1711. Meanwhile, the Jesuits had decided to try again. In 1712 Fr Hyppolite Desideri (1684 -1733) was sent to Tibet. He learned Tibetan without the help of dictionaries, and wrote various books describing Christianity and refuting Tibetan Buddhism. In a recent Italian book ‘In Unknown Tibet’, the author , Augusto Luca, says Desideri had a unique understanding of Mahayana Buddhism, as even Tibetan monks acknowledged. But meantime the mission had once again been entrusted to the Capuchins, and Fr Desideri and his companion left. In 1741 the Tibetan king, Mi Vagn, formally allowed Catholic religious to preach, celebrate the sacraments, and to make conversions. Mongol depredations led the Tibetans to call for help from the Chinese emperor, and in 1720 Tibet became a Chinese protectorate. The Capuchin mission ended in 1747. The great expansion of Catholic missionary activity in the sixteenth and seventeenth centuries led the Church to see that the surest way to really implant the Church in a mission area was to form a native clergy. So in 1627 Pope Urban VIII founded the College of Propaganda Fide (now the Urban College), to train native clergy. In France the first vicars-apostolic (in the modern sense) were appointed to Canada, China and Viet Nam in 1659, and were given clear instructions on forming a native clergy. A second development was the founding of orders specifically for missionary work. The idea was first advanced by a Jesuit, Fr Alexandre de Rhodes, a veteran of Goa and Viet Nam; and its first-fruit was the founding of the Paris Foreign Mission Society in 1658. For more than a century Tibet remained closed to any attempt at invasion. It was only in 1846 that ‘the roof of the world’ attracted attention, when the Holy See, on March 27 of that year entrusted the vicariate-apostolic of Tibet to the Paris Foreign Mission Society. The MEP were not short of bold and heroic men, and the first two vicars-apostolic of Tibet, Mgrs Thomine Desmazures and Chauveau several times had to restrain the zeal and audacity of their missionaries. Between 1848 and 1854 Fr Nicholas Krick successfully entered from the south, through India. His first attempt ended in expulsion, and his second in his assassination, along with that of his confrere, Fr Augustin Bourry, before any conversions could be made. In south-west China, Fr Charles Renou established the first mission in Tibetan territory. while near the frontier of Sichuan and Yunnan the little missions that were set up were constantly threatened by troops from the Tibetan monasteries. The lives of these missionaries were filled with exiles, destruction and reconstruction, and, during the rebellion against Chinese control in the Tibetan borderlands in 1905, violent and cruel murders. In this context these men, God’s pioneers, lived boldness, adventure, faith and passion in a quite unique way. It is clear that the martyrdom and heroic witness of so many missionaries were the fruit of this “impossible mission” undertaken by men whose minds, hearts and bodies had been ravished by the Gospel. 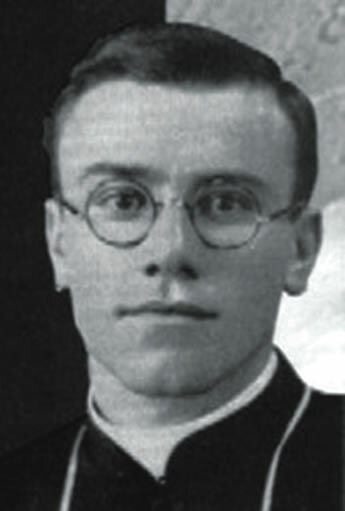 And we recall here Fr Maurice Tornay, a canon–regular of Grand St Bernard, assassinated by lamas on August 11, 1949, on the frontier of independent Tibet, and who was beatified by Pope John-Paul II in 1993. His crime was to have penetrated into the interior of Tibet in order to plead with the government of Lhasa for Christians, who were forbidden the right to exist in their own country. Well, Blessed Maurice was the eleventh and most recent of Tibet’s missionary martyrs. But, from 1854 to 1940 ten MEP missionaries had suffered the same fate in similar circumstances. Perhaps people forgot to beatify them? After the Chinese communist government’s invasion of Tibet in 1950, all missionaries were expelled, and Tibet was declared to be an autonomous region of China. Once again, Tibet was closed to evangelisation. It was tragic, because the missionaries left behind them a work hardly begun: chapels, social and educational work, without mentioning the many confreres who had given their lives for the local church just coming to birth. However, the sowing done in a hard winter remains, waiting for the spring. The story of the MEP is rich in missionary audacity, sweat and blood poured out to implant the Church in the countries of South and East Asia entrusted to it. But today, can we still speak about missionary audacity? Can we simply speak about audacity? If we can, what sort of audacity is it – what does it consist of , given that travel is now much easier, contacts become more frequent through the web, and countries are better known? Yesterday, missionary audacity involved bravery, spiritual and physical strength, availability unto death, knowledge and study. Today, fifty years after Vatican II, it is clear that the missionary dynamic has really changed. The Churches that were created from “audacity’ were led by Western bishops and priests, the religious were mainly white, the money needed came from the West, and the planning as well. Today the Churches in Africa, Asia and Oceania are quite different: the bishops and priests are mainly indigenous, the seminaries are rich in local vocations, schools and hospitals are locally staffed, the missionary orders welcome indigenous personnel to share their work, and missionary orders are being born in ‘mission lands’. And at the same time there is a rapid fall in numbers of missionaries coming from ‘old’ Christian countries. It seems to me that this older ‘audacity’ is nearing its end; but at the same time new forms of missionary presence are being born: for example, lay people are becoming more aware of their missionary role, and growing numbers of them are ready to give some years of their lives to missionary work. In a globalising world, missionary work is growing. The use of electronic media, migration and tourism are creating new situations for missionary contact. But in this new situation, a new’“audacity’ is needed. I believe two factors in mission work remain unchangeable: the message and men and women. The message is always the same: God has so loved men and women that He wants to save them (John 3:16). That is why he sent his son – to reconcile humanity with God, he was willing to die on a cross. Interceding for us in his Father’s presence, Christ is the first missionary. The second factor urging us to missionary audacity is men and women – of every race and time. 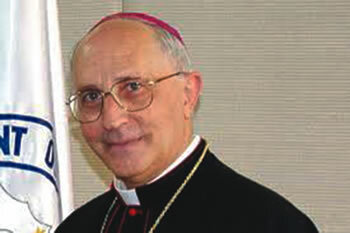 The Year of Faith and the Synod on New Evangelisation invite us to find new ways of bringing Christ to the world, to respond to his call:”Go into the whole world; proclaim the Gospel to all creation.”(Mark 16: 15) Five billion people long for this Good News, and millions already baptised are waiting for a new proclamation of the Gospel.